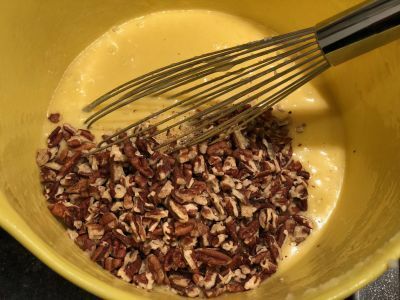 Having lived in Texas where pecans are native, you get to taste a lot of different pecan pie recipes. I worked on this one for a while and I will never change it again. It has a nice balance to it and is not too sweet. 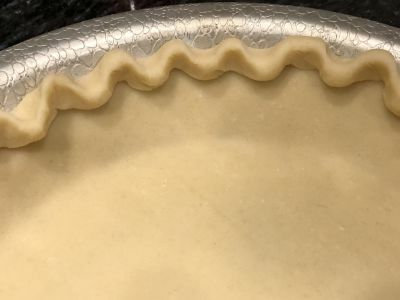 I also think the use of softened butter rather than melted butter like many other recipes creates a better texture in the custard part of the pie. 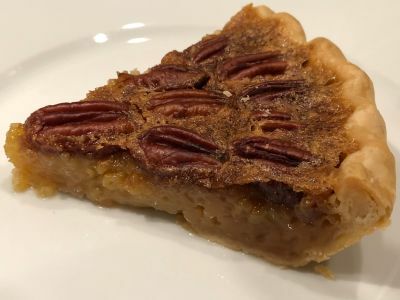 So if you like pecan pie, give it a try and tell us how you change it to make it your own. Enjoy! 1. Preheat oven to 350 ° F.
2. 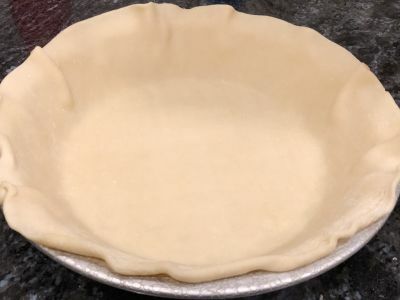 Place the pie crust into a 9" pie plate and decorate the edges as you normally would. Place it in the refrigerator if you are not going to use it immediately. 3. 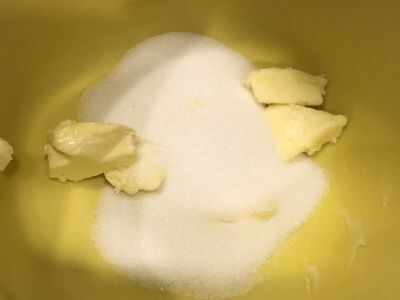 Cream the sugar and butter well in a medium sized mixing bowl. 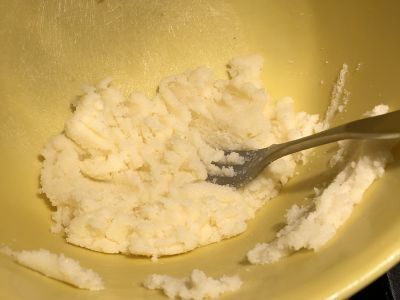 You can do this with a fork by pressing down on the butter and sugar mix until it is thoroughly incorporated. 4. 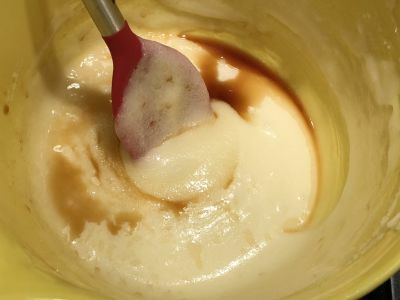 Add the corn syrup and mix to fully incorporate with the butter and sugar mix. I find it is easiest to do this by adding about a quarter of a cup of the syrup at a time. 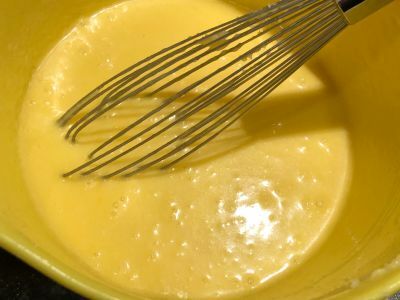 You can start mixing with the fork and then switch over to a whisk once you get enough corn syrup in the bowl. 5. Add the salt and vanilla and mix it in with the sugar, butter and corn syrup mixture. 6. Add the eggs one at a time and mix thoroughly after each egg. 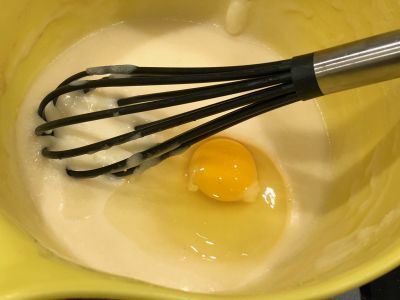 It is easiest to do this with a whisk. 7. Stir in pecans Don't worry, they will float to the top when they cook. 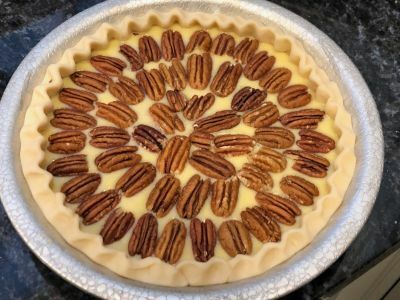 If you are using whole pecans, you can place them on top in a decorative circular fashion. 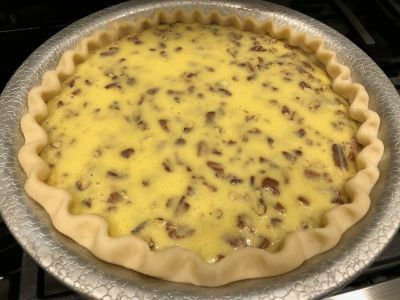 If they are left on top and not stirred in, they will have a nuttier flavor as they will be exposed to the heat of the oven without being coated by the liquid mixture. Your preference, both are delicious. 8. 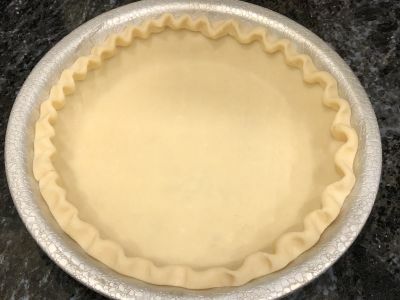 Carefully pour mixture into the pie crust. 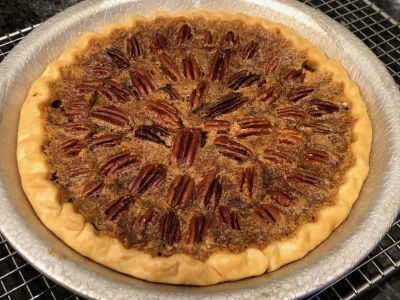 Carefully move the pecans around so they are spread somewhat evenly over the crust. 9. 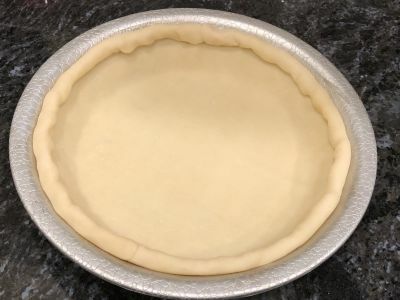 Bake in 350 oven for 45-60 minutes or until the center of the pie has fully set. That means that when you press down lightly with your finger tips it will spring back and have some resistance, not be loose and jiggly. 10. 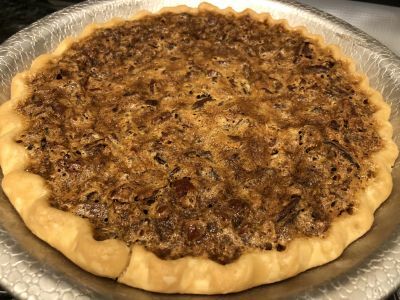 Remove from the oven and set on a cooling rack and let it sit for at least 30 minutes, preferably longer so it has time to set up. 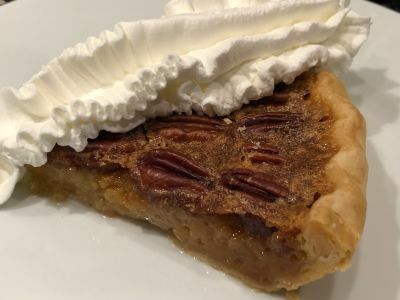 You can serve the pie with whipped cream, ice cream or just plain as it is. And for a little different presentation, drizzle some chocolate syrup over the top. You won't be disappointed. And the best part is the satisfying looks on people's faces as they taste it and say "Oh my, this is so good! ", or something like that. Enjoy!